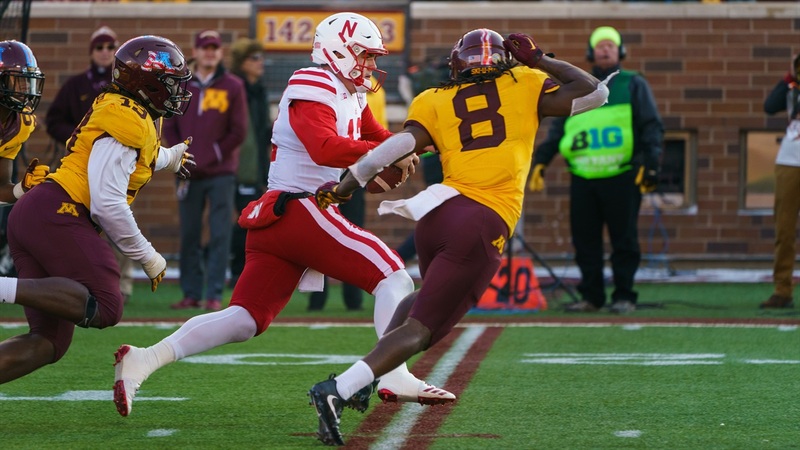 Notable quotes from Nebraska’s 54-21 loss to Minnesota. "I really don’t [sense that]. If you were at our practice and the energy and the work that they put in, I think it’s very good. It’s easy to say that. It’s easy to say ‘oh they cashed it in,’ and then you have a game like that and they’ve quit. I don’t see that. I don’t believe that. I think they’re trying and I think everybody’s got to do better – coaches, players, everybody. I think there’s a lot of disappointment but I don’t see anybody quitting." "Well I think we were able to get pressure. The first few series they were able to run the ball pretty well, made some adjustments in terms of how we were fitting some people in and things. I thought Rob Smith did a great job adjusting to that. You know they attacked us through the air in some play action pass game from two really fast, really explosive receivers, one here from in the state of Minnesota. We have to keep those types of players here in the state of Minnesota, period. So, everybody listening, whoever you know that’s a great player keep him here, '18 class, '19 class, keep him here because those type of players continue to make us better but they were down the field in play action stuff. We are not very deep in the secondary and they took advantage of it. I thought our players responded to it, they threw their oar back in the water and kept rowing and finished drives." “We’re putting our head down and trusting the process. We put ourselves in some bad situations earlier in the year so we’re focusing on just winning the next game and the game after that and accept whatever is handed to that. We’re worrying more about the next game ahead than on the postseason."